She loves traveling and has been to more than 30 countries. She also loves learning languages: she speaks Thai, Kam Meuang (a northern Thai dialect) and Italian. But those aren’t the only reasons Dr. Jessica McKenzie chose to focus her research on Thailand. 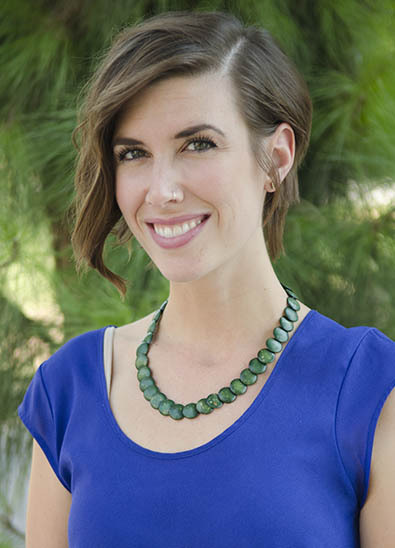 “I’ve been interested in psychology for as long as I can remember, but my interest in studying the psychological implications of globalization was born from the year I spent living and teaching in a Thai village,” said McKenzie, an assistant professor in the Department of Child, Family, and Consumer Sciences since 2014. Her experience led her to conduct longitudinal ethnography in rural and urban northern Thai communities, as well as in-depth interviews with adolescents and parents residing in those communities. McKenzie examines rural and urban adolescent and parent discourse pertaining to their private moral experiences in a study to be published soon in the Journal of Adolescent Research. Her findings indicate an emergent intergenerational moral disconnect in the urban Thai setting. “Situating interview data in light of ethnographic data, this study suggests that globalization profoundly impacts moral reasoning and perceptions of oneself as a moral person,” she said. Very little is known about the psychological implications of globalization, underscoring the important of McKenzie’s research. Recent work addressing the psychological implications of globalization has focused almost exclusively on identity and cultural identity development; her work broadens the scope significantly by demonstrating globalization’s impact on moral development. McKenzie is conducting research with Fresno State post- baccalaureate students, Sarah Tstutsui and Seema Prakash, on intergenerational perceptions and negotiations of divine self and selves in northern Thailand. Whether it pertains to research or course content, McKenzie loves accompanying students along their journey of discovery. She hopes to share with her students that learning is a lifelong process of discovery. In addition to teaching, she McKenzie conducts research, is a member of the most recent DISCOVERe tablet cohort, is a career and graduate school adviser for students in her department and serves on departmental, college and University committees. McKenzie feels her appreciation for, and patience with, process is really a cornerstone of her professional identity. “It has compelled me to learn languages, to live in diverse cultural contexts and to conduct research that requires time, diligence and tolerance of ambiguity,” she said. McKenzie enjoys being outdoors — hiking, running and doing yoga. Married to Sean, she has two cats — Boon (“merit” in Thai) and Noi (“little” in Thai — although the feline is anything but little). McKenzie has a bachelor’s degree in Psychology from Miami University in Ohio and a doctorate in Developmental Psychology from Clark University in Massachusetts.